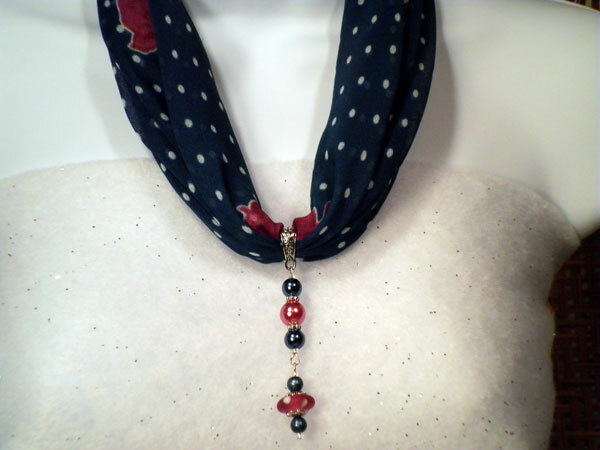 The scarf is blue with white polka-dots with roses scattered throughout. The border is the same rose color. The base color is more of a teal blue than is shown in the picture. The dangle is done in the same shades of blue and rose. I had to laugh when I found a rose-colored glass bead with polka-dots to match the scarf pattern. Perfect!